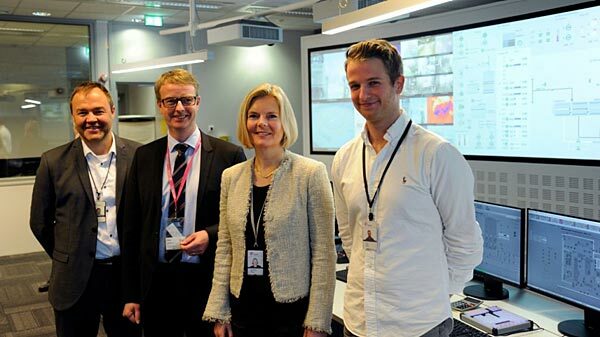 “This is a vital milestone for Statoil. We have had land-based surveillance and control of offshore operations for a long time, however, the remote control of Valemon marks one important step forward on our digitalisation journey,” says Gunnar Nakken, head of the operations west cluster in Statoil. Valemon is designed and constructed for such remote control. Statoil has currently no other platforms of this kind, but this solution will undoubtedly be considered for other small and medium-sized platforms in the future, and remote control will be a central building block. “Most of our production will still be carried out on large, manned platforms, such as Aasta Hansteen and the Johan Sverdrup platform, but for somewhat smaller platforms and fields it will absolutely be considered. First, we must gain experience from Valemon,” says Nakken. “Thanks to new technology and knowledge we can utilise the advantages of our smaller, standardised building blocks that are combined differently from field to field for optimal resource exploitation. We want to combine the best technology, below and above water, to find optimal solutions for every project, thereby ensuring safer operation,” says Nakken. Onshore remote control of the Valemon platform is one example of how new ways of working and interacting offer new possibilities and advantages.